We ordered 1,000 SoundCloud Plays from GetMoreSoundcloud to give their service a run for its money. Our Plays arrived in full and on time. 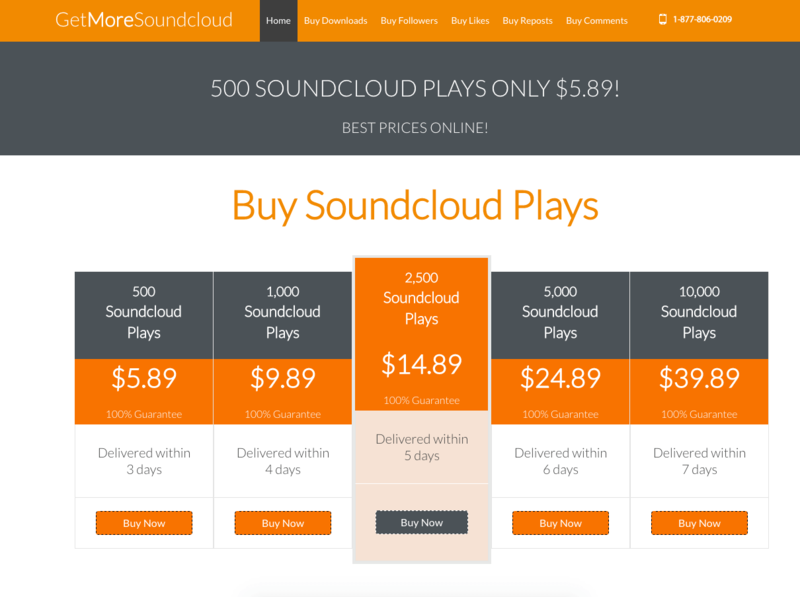 However, you'll find that prices on GetMoreSoundcloud are quite a bit higher than average. Their customer support was also unresponsive to our questions. They can deliver their service as promised, but you may want to look elsewhere for better prices and customer support. Registered in Indiana, USA, GetMoreSoundcloud focuses in SoundCloud boosting services. They offer social signals for to help musicians become more popular and improve their social proof. They have been in the industry for years and intend to stay by offering high-quality services. This company only offers SoundCloud services at this time. They provide SoundCloud Plays, Downloads, Followers, Likes, Reposts, and Comments. We reviewed the terms and conditions sections on the GetMoreSoundcloud website and made a few comments on their status below. To find out more details on these, then please toggle the sections to see what we thought! GetMoreSoundcloud has a standard Terms of Service. When a dispute is opened by customers whose orders have been completed, the company reserves the right to revoke all the services already provided. They respect your privacy and will keep all the information you provided confidential. Their Refund Policy states that customers can only cancel orders not yet processed. They offer 100% Money-Back Guarantee for orders not processed within 7 days from the date of purchase. They reserve the right to refuse refund requests for the following reasons: (1) the customer had a change of mind, (2) the order was already completed, and (3) the customer provided wrong information that resulted to the problems. GetMoreSoundcloud does not have a Retention and Replacement Guarantee available on their website. It’s easy to find contact details for GetMoreSoundCloud, because you’ll see their phone number towards the top of the page and more details at the bottom. There’s also a Contact Us link at the bottom, which will take you to a contact page. Overall, it seems very difficult to get in touch with GetMoreSoundCloud through any of the normal channels. This was not a good customer experience. 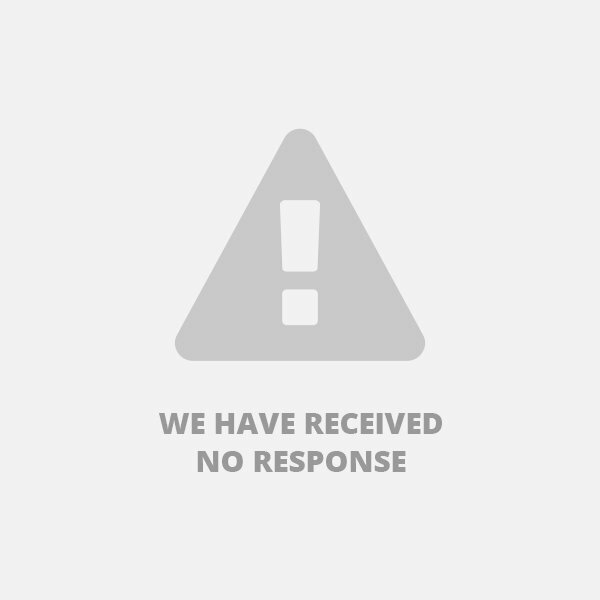 Before ordering, we tried to send a set of questions to test their customer support. Unfortunately, it appears that they have some problems with their contact system. Their email address does not exist, and any messages sent will be returned (whether or not you repeat the .com in the address). We also tried the on-page contact form, but we got an error message, telling us to try again. Over a week later, we are still getting the same message. The Plays you buy from GetMoreSoundCloud can serve to improve your social proof on SoundCloud, but be aware of their poor customer support. As you can see, our SoundCloud Plays arrived the day after ordered, on time and in full. GetMoreSoundcloud is a simple website that focuses on SoundCloud boosting services. Our order of 1,000 SoundCloud Plays went exactly as expected, without a hitch. Their customer support, on the other hand, was not as impressive. We never received a response to our questions, so you may be unable to get in touch with them if you have a problem with your order. They do have a money-back guarantee in place, however. GetMoreSoundcloud's prices are also quite a bit steeper than most. If you want to buy Plays from a higher-quality website with better prices, check out Devumi or DDPlays. I made an order for 6000 sound cloud plays. The plays arrived in full 2 days later. My sound cloud following has since grown significantly ever since using this service. Any serious musician should try it out. The entire process of getting my plays from getmoresound was seamless. All through from their customer support up to the point where i got the plays, i was impressed by their high level of professionalism. I ordered for my plays following a conversation i had with their customer support staff and ended up buying the 1000 plays package for under $10. My following has increased tremendously ever since. I will definitely stick with this service. Get more sound was a perfectly easy way for me to increase traffic on my account as I focus more on my art. It is the only service I can vouch for, to anyone looking forth to raising plays on their SoundCloud, after they did it for me. To me, getting the right person for the job was when I stumbled upon their website and made an enquiry. Happy with the results of the sounscloud plays.